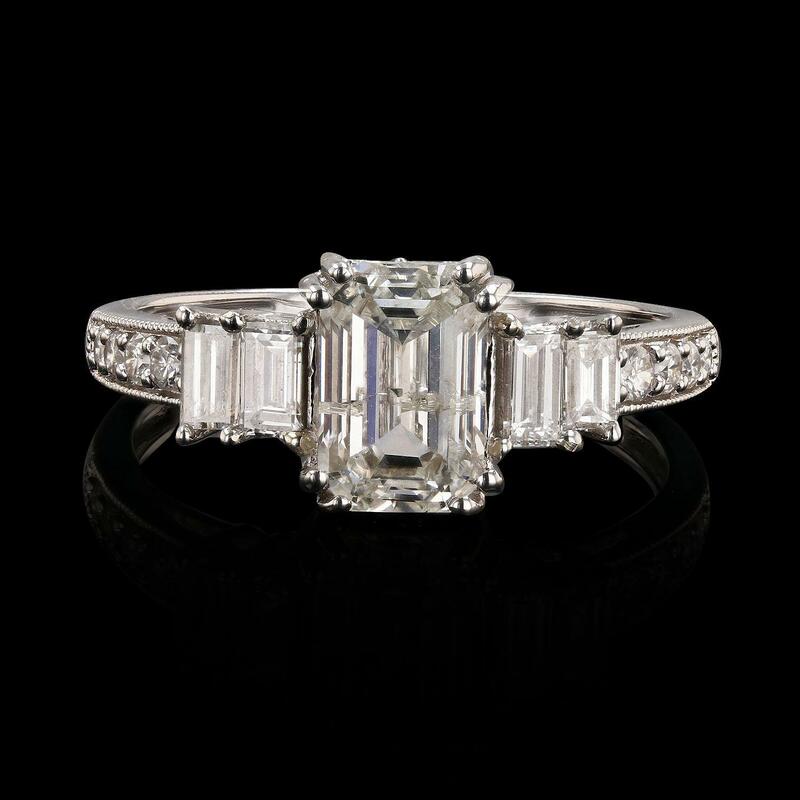 One prong set emerald cut diamond, measuring 7.81 x 5.22 x 3.86mm exact weight 1.62ct. GIA Diamond Grading Report attached. Graded loose prior to setting in the GIA Laboratory, Report #2277216292. Four prong set baguette cut diamonds, measuring from 3.10 x 2.00 x 1.70mm (depth est.) to 3.90 x 2.10 x 1.79mm (depth est.) approximate total weight of 4 Stones = 0.50ctw. Graded in the setting. Twelve prong set round brilliant cut diamonds approximate total weight of 12 Stones = 1.12ctw. Graded in the setting. Total Weight of Diamonds 3.24ctw.